With a stay at Great Southern Hotel Melbourne, you'll be centrally located in Melbourne, just a 5-minute walk from SEA LIFE Melbourne and 6 minutes by foot from Melbourne Convention and Exhibition Centre. This 4-star hotel is 0.4 mi (0.7 km) from Flinders Lane and 0.7 mi (1.1 km) from DFO South Wharf. 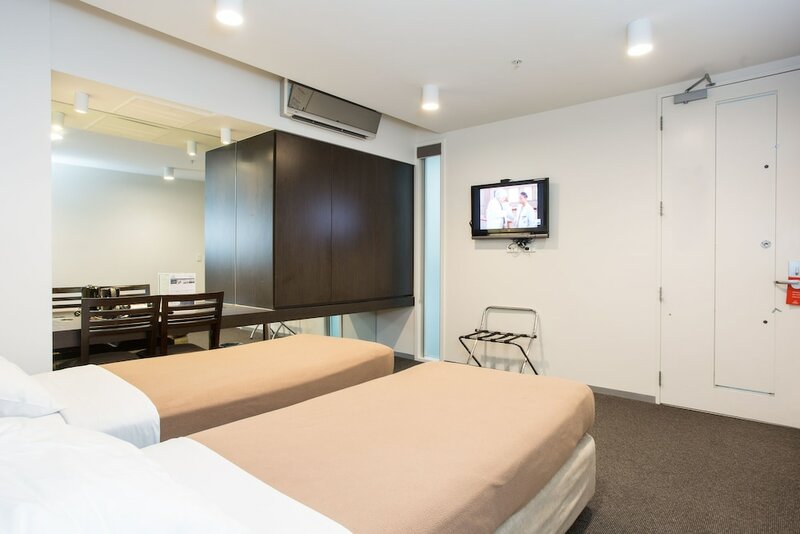 Make yourself at home in one of the 268 air-conditioned rooms featuring refrigerators and LCD televisions. Complimentary wireless Internet access is available to keep you connected. Private bathrooms have complimentary toiletries and hair dryers. Conveniences include phones, as well as coffee/tea makers and irons/ironing boards. At Great Southern Hotel Melbourne, enjoy a satisfying meal at the restaurant. Buffet breakfasts are available daily from 6:30 AM to 10 AM for a fee. The hotel offers a restaurant. Public areas are equipped with complimentary wireless Internet access. This Melbourne hotel also offers tour/ticket assistance, multilingual staff, and complimentary newspapers in the lobby. Parking is available onsite for a surcharge. Great Southern Hotel Melbourne is a smoke-free property. Great Southern Hotel Melbourne has a restaurant on site.